Our bed bug bully review is different from many that you see on the internet, mostly because it’s not a very positive review. 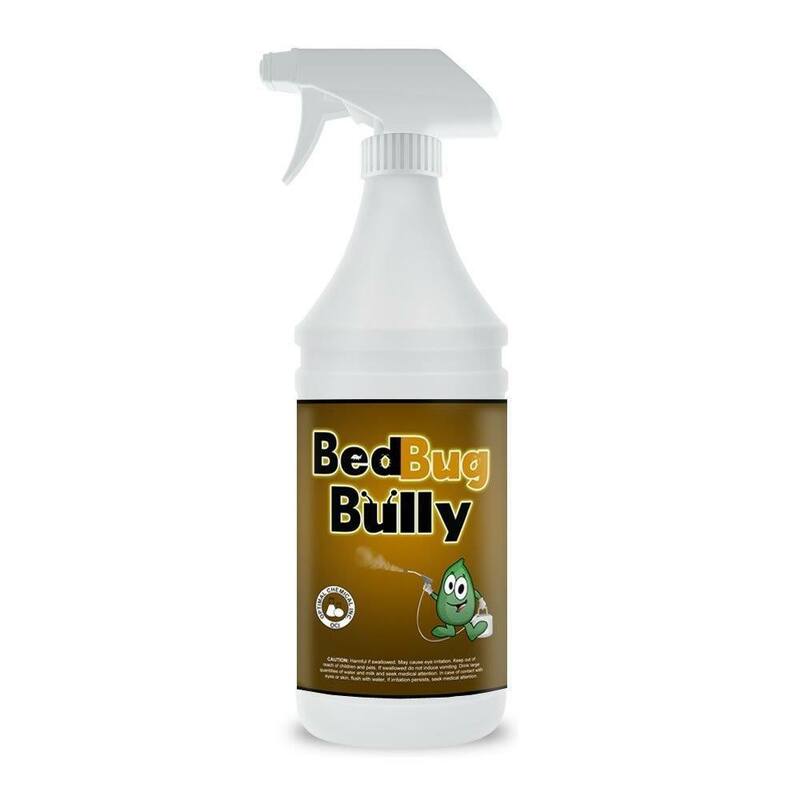 On the positive side, like most bed bug sprays, Bed Bug Bully is super easy to use – you just aim and spray. However, while it’s easy to use, it’s not very effective at killing bed bugs. If you take a look at the ingredients in the spray (see the section above), you’ll see why that’s the case. While those ingredients are very safe to use around your home, pets, and children, and are considered “green,” those ingredients are unfortunately also not very effective at killing bed bugs. Bed bugs are some of the hardest bugs to eradicate, and so just spraying them with some essential oils won’t work. Mint, clove, citronella, and rosemary essential oils have some chemical properties that make them effective at repelling insects in general (not just bed bugs) and also some chemical properties that are antibacterial and possibly toxic to insects, but the fact is simply that they’re not very toxic to any insects. The other problem is that Bed Bug Bully is not very effective at killing bed bug eggs, which is essential if you need to get rid of bed bugs throughout your home. Bed bug eggs are notoriously difficult to find and to destroy, and if you can’t destroy all the bed bug eggs in your home, then new bed bugs will be born and your bed bug infestation won’t clear up. So, the only way Bed Bug Bully can kill any bed bugs around your home is if you spray a ton of this stuff at them directly. This makes it a rather expensive and ineffective way of killing bed bugs. That’s why in this review, we are suggesting you don’t buy Bed Bug Bully and instead use some of the more effective methods of killing bed bugs we detail below. Bed Bug Bully Review: Why We Don’t Recommend Bed Bug Bully Anymore? We couldn’t in good conscience continue to recommend a product that doesn’t work for so many people. So, if you want to give it a try, then go ahead, but we think your money is much better spent on utilizing methods that are proven to be much more effective. 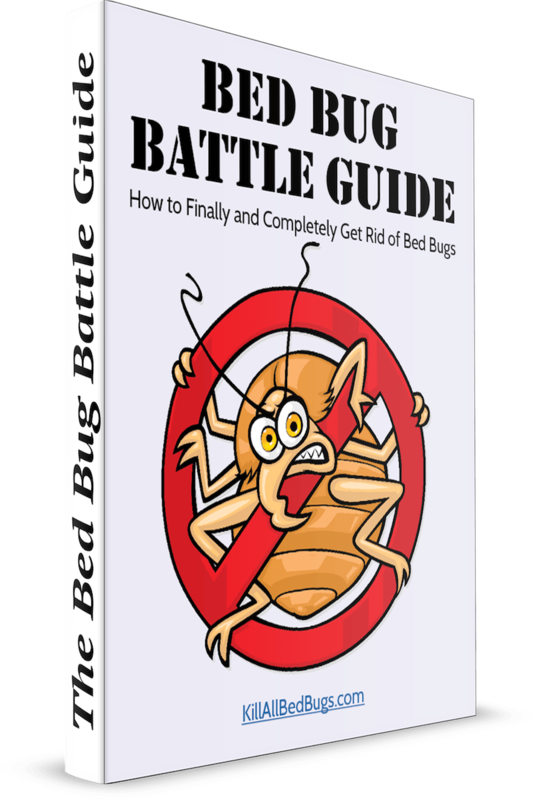 Keep reading and I’ll tell you about 3 methods in particular that can help you get rid of bed bugs in your home and prevent them from coming back! 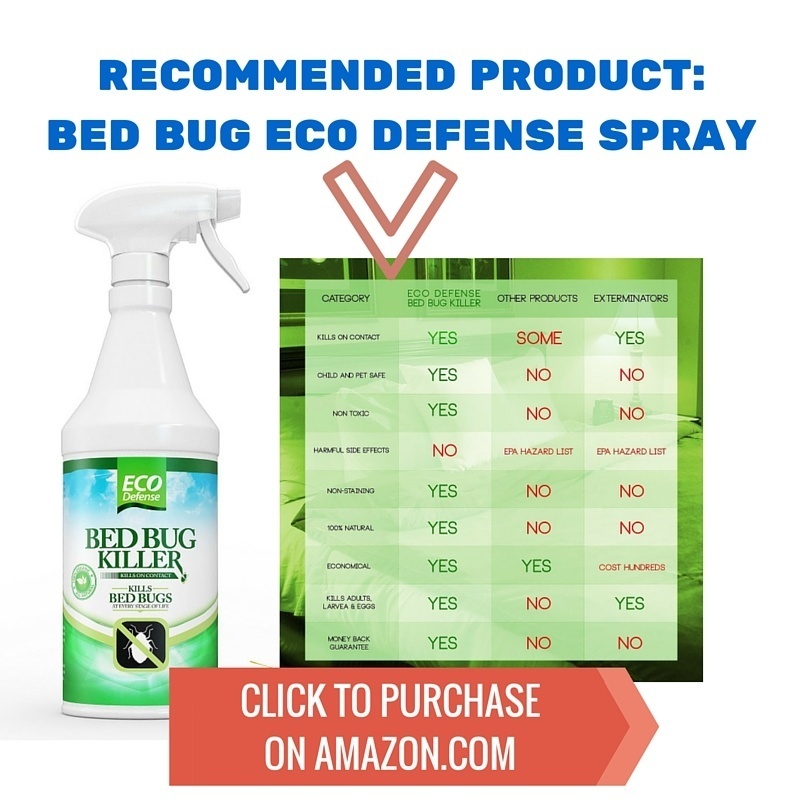 Our new recommended bed bug spray product is the Eco Defense one that you can purchase on Amazon here. It’s also made from safe ingredients that won’t harm your family. However, the reviews of the product suggest that it’s much more likely to work on your bed bug problem. Unfortunately, we haven’t had access to the exact list of ingredients in Eco Defense. We assume the ingredients are similar to Bed Bug Bully but perhaps in greater concentrations so that it’s more effective at killing bed bugs. But as I describe below, we do not think you should rely on any bed bug spray to effectively deal with your bed bug situation – instead please follow the detailed bed bug treatment plan in the next section. While the natural bed bug sprays don’t work as well, traditional pesticides do still work. For example, Steri Fab is still very effective against bed bugs and many people use it to treat their homes. However, there are dangerous chemicals in Steri Fab, so make sure to follow all instructions for use carefully. We often want to rely on bed bug sprays to get rid of bed bugs, but the fact is that most sprays are NOT very effective. You’ll need to spray a bunch of it around your home and even then the success rate is not very high. Our recommendation is to use bed bug sprays like the Eco Defense one in conjunction with other bed bug elimination methods like dry steamers and diatomaceous earth and mattress encasements. Your first port of call should be to carefully vacuum all areas around your bed and throughout your house. Be careful how you dispose of the vacuum bag after you’ve cleaned your home – make sure to seal up the bag securely. Place it in another plastic bag and seal it tightly before putting it into the trash. Also, wash your vacuum cleaner to make sure no bed bugs or bed bug eggs breed in it. It’s also suggested that you keep the vacuum in a sealed bag when not using it to ensure no contamination occurs. Use high temperatures to wash and dry your clothes and bed sheets. High temperatures can kill bed bugs, so make sure to use the highest settings on your washing machine and tumble dryer. However, also be careful to check that your clothes can be washed and dried at high temperatures as some clothes will shrink and colors may fade or run. This is one of our favorite devices for getting rid of bed bugs. As mentioned above, high temperatures can help kill bed bugs and their eggs. A dry steamer produces very hot steam (small amounts of it) from the nozzles that are attached to the device (it sort of looks like a vacuum cleaner). When the hot steam is passed over bed bugs and the bed bug eggs, they are destroyed by the high temperature. A dry steamer should be used carefully (pets and kids should be kept away from the device). Furthermore, you might want to consider getting a respirator to use with it as the hot steam can cause some chemicals in your home to be released into the air. This device is safe to use on a variety of items that you can’t use other methods on. For example, you can’t wash your sofa in the washing machine, but you can use the dry steamer to go over it carefully. You can also use the dry steamer on wood floors as well as your mattress! If you have a major infestation, then there may be some bed bugs deep inside the mattress that the heat from the dry steamer may not kill. For those bed bugs, we recommend using the mattress encasement method to deal with them (see below). This is a white powder that is naturally produced from certain rocks. It kills bed bugs by dehydrating them when they walk over the powder. So to use this as a method of killing bed bugs, you will need to sprinkle it all around your home – especially under your bed, at the base of your furniture, and in the corners of your rooms. To prevent bed bugs from returning to your home and invading your bed, get a mattress encasement to protect your mattress. This is a simple covering for your mattress that prevents bed bugs from entering it. 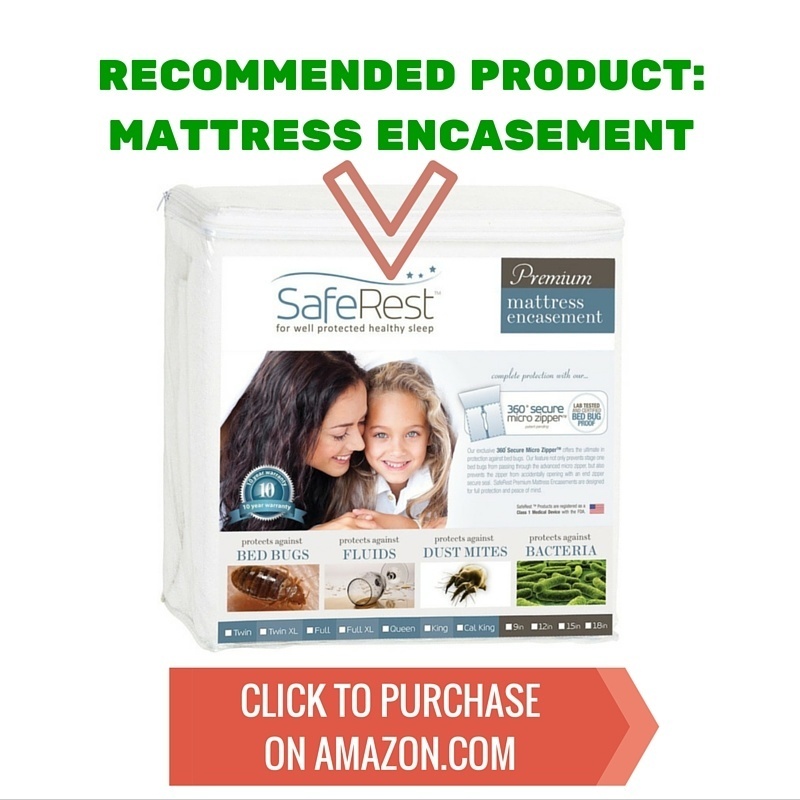 You can also use it to save your mattress if you already have bed bugs – this simple device can keep the bed bugs locked into your mattress so that they die of starvation after around 1 year. You’ll need to make sure your mattress cover doesn’t get scratched and that the zipper on it doesn’t come open by accident. A similar device can be bought for your box springs – called a box spring encasement or cover. For more about those methods, check out our comprehensive article on how to get rid of bed bugs here. While it’s tempting to buy a “natural” and “safe” product to use around your home to kill bed bugs, Bed Bug Bully is unfortunately not the answer you’ve been looking for. The natural ingredients unfortunately don’t do that much to bed bugs, and you are much better off spending your time and energy on other more effective methods (like getting a dry steamer and diatomaceous earth). 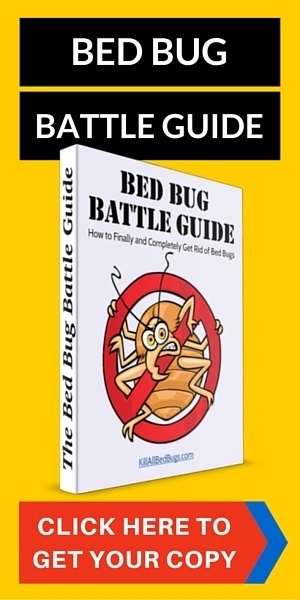 I know there are plenty of other websites claiming that Bed Bug Bully is highly effective, so you might be tempted to give it a try. So, if you choose to buy it, please just remember to not rely on Bed Bug Bully to solve your bed bug problem completely – please also use some of the other methods mentioned above to ensure your bed bug problem doesn’t grow while you wait around for Bed Bug Bully to work. I live in Queens NYC , I want know where can I buy the Bedbug Bully. I can attest that this stuff does NOT work! I sprayed some of this stuff directly on a few of the suckers. They walked right through it…watched ’em. Learned my lesson. A dry steam machine and some of the dichotomous earth I believe will do the trick. Just to check for myself if heat would work, I used a very hot blow dryer and it killed them. I have hope yet. Please, please do not waste your money on this product. I see the use of this herbal products in chasing away bed bugs if you combine them with diatomeceous earth. I had a bed bugs problem with rental unit. I drilled the walls between the posts and puffed through the holes diatomaceous earth, applied with the rose duster nuzzle. Then I inserted the same duster nuzzle every feet under the concrete floor , in the space between rebars and construction elements and puffed all around in the entire unit. After that, I found a private small exterminators that applies herbal “smell away” solution on the entire floor every month. Bed bugs are then running away from the small into the walls and beneath the floor, and die from diatomaceous earth. So my “big idea” was proven to work, since I am the only owner whose condo does not have bed bugs any more in the environment where all other condos around me have them and are struggling with chemical solutions. Bed Bug Bully ONLY contains Soybean Oil and Cinnamon, does NOT work. Please Let people know that The Bed Bug Bully is a Joke!! Someone needs to lock this crook up for ever. Bed Bug Bully will not kill your Bed Bugs. I purchase 9 Quarts of Bed Bug Bully, sparyed all the spray in my bedroom and living room. It hasn’t killed any bugs that I can find. The day after I sparyed I got three bed bugs off of me setting in my chair! Wife got four off of her at same time. This was an hour after I sparyed 9 Quarts of Bed Bug Bully spray. Now my bedroom​ is a 12″x14 and living room is 13″x16″.Please don’t waste your money or time because this product WILL NOT KILL the Bed Bugs!! !